We were recently made aware of the World Wrestling Entertainment Inc’s (WWE) decision to honor a former wrestler during the upcoming WrestleMania 34 event. As a principle-based business that has long championed creating inclusive environments that encourage and empower everyone to reach their full potential, this is unacceptable. We are engaging with the WWE to express our disappointment. 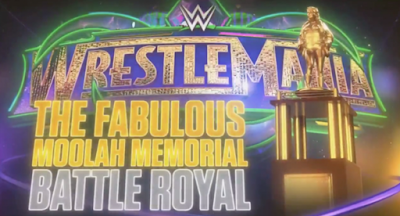 The battle royal will still happen, but now will be called the WrestleMania Women's Battle Royal. I like the idea of honoring a legend in this way. 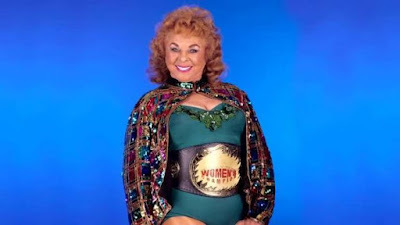 Several of Moolah's trainees have accused the now-deceased Superstar of keeping their earnings and pimping them out to male wrestlers. But is this the right call to make. I'm simply going to play Devil's advocate for the rest of this discussion. Because of everything going on in Hollywood and beyond, reacting to allegations of abuse is the right thing to do. 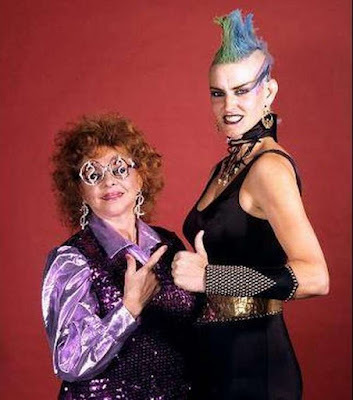 Moolah has been dead for more than a decade and obviously can't defend herself against the allegations. Frankly, I was surprised the company made the plan in the first place. When the women's tournament last year was named after Mae Young and not Moolah, I made the assumption it was due to the past allegations. This situation is not new. Remember innocent until proven guilty. Society typically takes the word of the accuser over the accused. That's not to say we shouldn't. But in my own personal experiences, I've seen reports of sexual abuse reported and the accuser later recant their statement. Lives are destroyed in these situations. Pro wrestling is an interesting form of entertainment. In my 1-2-3 cents, many fans don't separate the character from the person playing that character. Case in point, Mary Lillian Ellison is the woman behind the Moolah character. She's the one who allegedly treated her trainees, not the woman we came to love to hate to love again on WWE programming. I'll lump that in with the Ultimate Warrior too. I know he legally changed his name to Warrior and years ago made several homophobic and other statements that some people found offensive. Now he's in the WWE Hall of Fame and has an award named in his honor. But again, I view the statements made by the man different than what was done in the ring. It's not unlike the Bill Cosby situation. I know some networks have pulled the plug on the Cosby Show. Dr. Cliff Huxatable isn't accused of drugging women and taking advantage of them, Cosby is. Plus when pulling the show the other actors, writers and crew members are being punished. Again, I get that wrestling is different from the rest of Hollywood. Changing the name is probably the best for everyone involved. I'll close with this. I applaud WWE giving the Women's Division more opportunities. However, instead of copying everything the men have done (Money in the Bank, Elimination Chamber and Royal Rumble) I'd like to see some other kind of new and innovative match that's exclusive for the women. Let the male Superstars play catchup in that regard. I have no ideas for this women's match, just something I'd like to see WWE Creative come up with soon.